The April/May issue of Bloom, with my gummi bear column, is now out and available at fine Bloomington establishments everywhere. If you didn't catch it, I have been on a quest to make a great gummi bear and so far, I am falling short. The flavors are good (maybe because I am using real fruit concentrates rather than artifical lifesaver flavors and colors) but I can't get the texture right. I want chewy, not rubbery, and it may be that I am using too much gelatin. I will try again! Meanwhile, last weekend saw another run to the Albanese candy factory in Merrilville, Indiana, home, so they say, of the "world's best gummies." I am not sure if they are the best in the world, but I have made it my personal mission to find out. What they do make that is really beyond wonderful, is chocolate covered gummi bears. The smooth melty chocolate with the fruity chew is a perfect combo and I am smitten. As promised in the Bloom column, here are some video links to making gummi bears — one the way the commercial candy makers do it (you have to wait through the red licorice portion, which is actually kind of cool, and then it's only gummi worms, but it is the same principle) and one is a kind of goofy guy making them at home. And because if I am tortured, you should be too — here is the link from the gummy bear song. 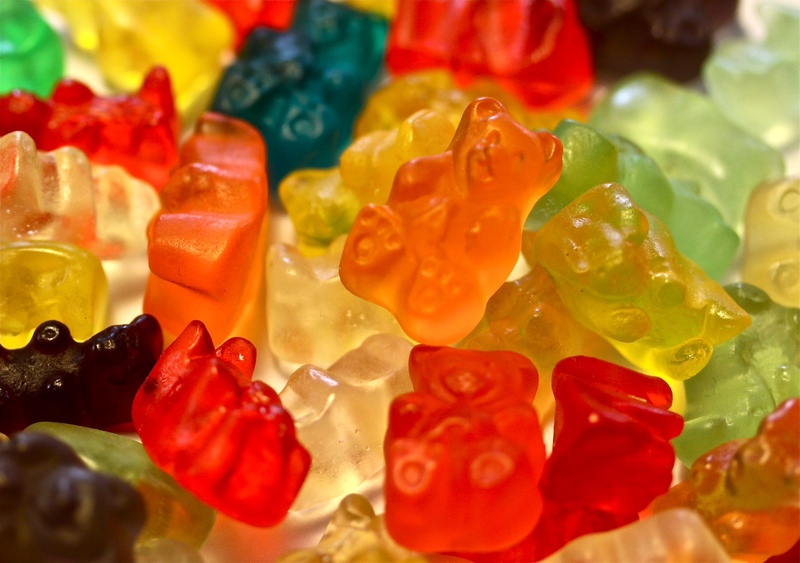 I'm A Yummy, Chummy, Funny, Lucky Gummy Bear — it will be with you all day long! Previous Post Another wonderful Slow Food Bloomington event coming up Sunday, August 14, from 4-7.